Group chats will be no longer an endless notification turmoil. Sometimes WhatsApp group chat can be irritating and annoying. Though the constant buzz can be handled by muting the group notification, still, you will see the number of messages in the muted group. To counter the flux of never-ending message in the group chat, WhatsApp has come up with a feature that will restrict the sending of messages to just administrators. It will make the users send the message to the group admin first, and if approved, the message will be shared with the rest of the users. To enrich the user experience after being in a group, the cross-platform messaging and Voice over IP service brought out features like group descriptions, a catch up feature, and protection for people who are being repeatedly added to groups they've left. This setting is available for all users around the world on the latest supported versions of the app. WhatsApp has rolled out the feature for the users who have upgraded to the newest version of the messaging app. The Facebook-owned company is fiercely focusing upon offering urbane experience to its users. 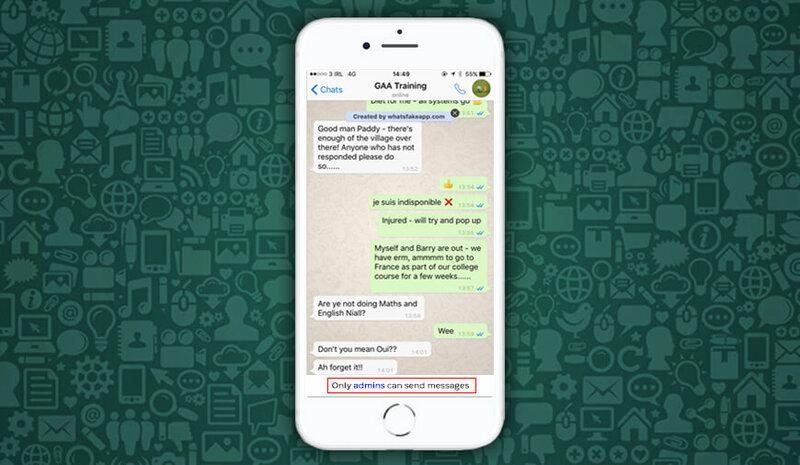 Earlier, WhatsApp tossed up a Chat filter exclusive for the business app. The feature enabled the user to search for anything by applying filters to the chat history. Another notable addition was Restricted Group feature. This feature extends the leverage to the group admin to send a message to a group, and other members can only read the messages and cannot reply to the same.